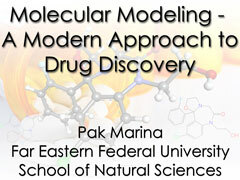 Сопровождение доклада "Molecular Modeling – A Modern Approach to Drug Discovery" на конференции. С красочными моделями молекул и видео. Тезисы к докладу «Molecular Modeling – A Modern Approach to Drug Discovery» на конференции по химии на английском языке. 1 курс, ДВФУ, 2015. Rational drug discovery is one of the most actual issues of medicinal chemistry. 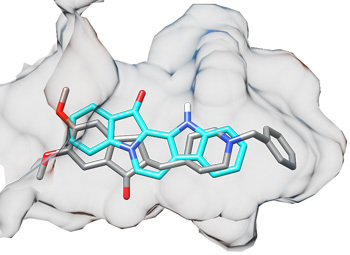 Application of molecular modelling techniques can bring discovery of drugs to new level with minimal costs.